Enjoy reading and share 107 famous quotes about Can't Breathe with everyone. “Bryn," he said. "Do you know how much I love you?" I smiled and answered with a hint of sarcasm in my tone, "Well, I'm not quite sure." "No, I'm serious," Tyler said, turning over onto his side so that he was facing me. His eyes were serious, something that I only saw when he really had something to say. “Why won't you let me kiss you, Anna?" “His eyes darkened. "You're in pain, aren't you?" He touched her temple, and she leaned her head against his hand. "Yes." The inside of her head felt stuffed full like an iron band slowly tightened around her brain. "Nightmares." She put her palms flat to his chest and spoke to the buttons on his coat. "Always the same. A face looming over me. I can't breathe. I feel helpless. And frightened." "Hush, my heart." His fingertips nudged her chin up so that she looked into his face. "Hush." She leaned against him. "Why can't I remember?" “But I don't want "good" and I don't want "good enough"
“Oh my gosh, he smells good, like some exotic but comforting spice, nutmeg or cardamom. Slowly Damian lowers his head to mine and I think my chest might explode, my heart is tap-dancing so quickly. I've imagined this and now it's really happening, I am like a block of wood. I can't move. I can't breathe. I close my eyes as the lightest feather of a breath , then lips, brushing over my lips. His breath is sweet and the taste of coffee barely lingers in his mouth. I feel as though my whole body has turned to liquid, into a river of millions of droplets, rushing apart and then back together. "You have the softest lips," he whispers as he pulls back to look at me. can't breathe the air and drink the water. Don't sit this one out. “Tim, I'd chew you up and spit you out." She slants forward, yanks the straps of her bikini behind her neck, ties them, and settles back. God. I almost can't breathe. "We could progress to that, Alice. But maybe we start with some gentle nibbling?" Alice shuts her eyes, opens them again, and gives me an indecipherable look. "Why don't I scare you?" she asks. “I'm dizzy. It physically hurts to look at him. "I can't breathe." “I think I'm under control, that I've stripped away all weaknesses. That committing to my mission has made me impervious. I'm wrong. The thought of Barrons smiling brings other thoughts. The image doesn't "gently swim up in my mind" in a dreamy sort of way, like I've seen in movies. No, this one slams into my head like a nuclear missile, exploding in my brain in graphic detail. I suffocate in a mushroom cloud of pain. I can't breathe. I squeeze my eyes shut. White teeth flashing in his dark face: I get knocked down but I get up again. You're never gonna keep me down. “I'm not taking a chance. I feel like I can't breathe without you. I'm just doing what I need to do to survive. It's as simple as that." “Mr. Landowsky was eighty-two and somehow his chest had shrunk over the years, and now he was forced to hike his pants up under his armpits. "Oi," he said. "This heat! I can't breathe. Somebody should do something." I assumed he was talking about God. "That weatherman on the morning news. He should be shot. How can I go out in weather like this? And then when it gets so hot they keep the supermarkets too cold. Hot, cold. Hot, cold. It gives me the runs." It can't be more than a few seconds. Before I even realize what he's doing, he slips the belt down over my head. Gripping the end of it, he tugs, tightening it around my neck like a collar. “Why did you destroy Manny's office, then?" "That is the point of choking you," I pointed out. "Haste, please, if you want to live." 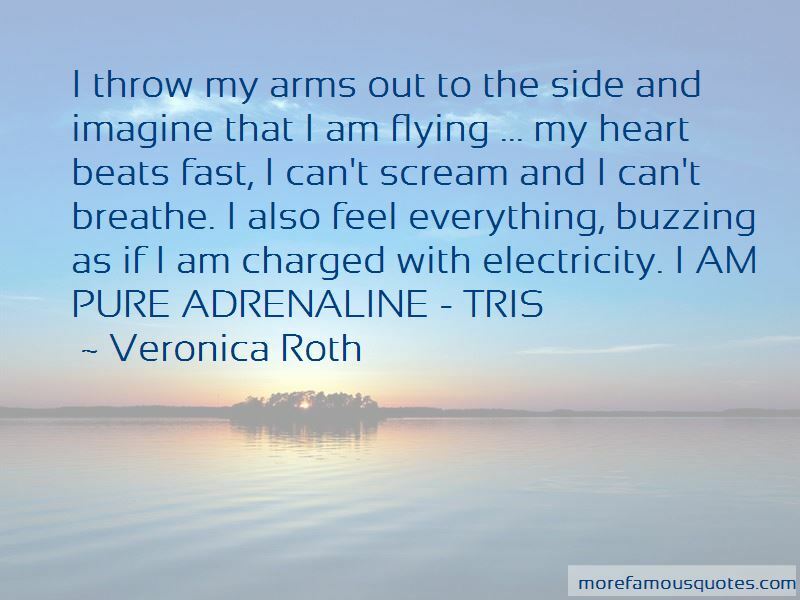 Want to see more pictures of Can't Breathe quotes? 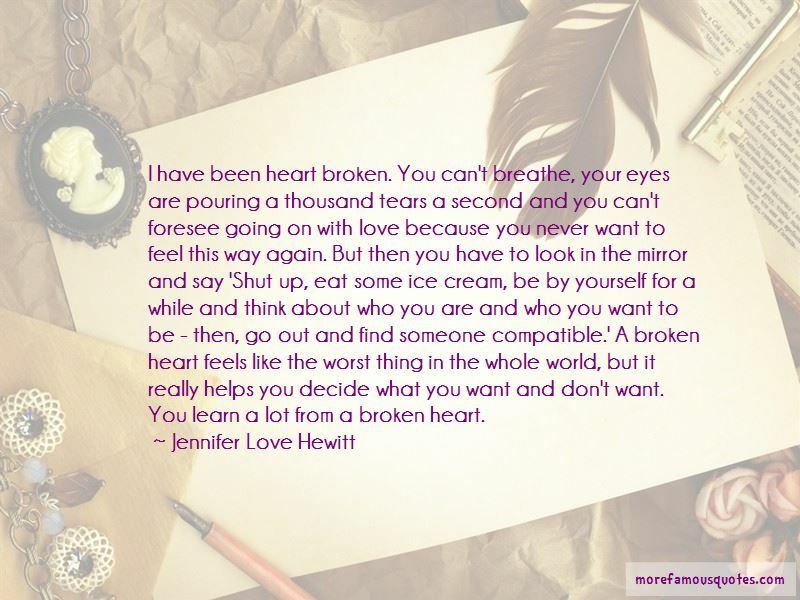 Click on image of Can't Breathe quotes to view full size.